I have two new CDs here by an artist named Karine Polwart, and I simply don’t know what to say about them. One is a compilation containing songs from a series of older CDs which were only available in the UK. The other is a new one, her first internationally released album, and both come from Borealis Records, Canada’s folk music label extraordinaire. Threshold (the compilation) arrived first, as it should have, and it didn’t get much time in my CD player. I admit to liking the sleeve, designed by my pal A Man Called Wrycraft (who is doing some fantastic work these days), and to being curious about the music but not immediately captivated. The cover, I should mention, features a collage of photos of doors, and I am a fan of doors. I take pictures of interesting doors when I travel, and have amassed quite a collection. But, the music is not about doors, although the compilation does provide the listener with a way in to the oeuvre of this fine Scottish musician. Polwart is the atheist daughter of a Presbyterian family who fills her lyrics with religious imagery and doesn’t understand why. “Maybe I’m just in denial,” she claims. She has an extraordinary, clear voice, with a recognizable burr that sets her apart from generations of UK singers who tried their hardest to lose any identifiable accent. She had the cover story of fRoots magazine a year or so ago, wherein she told the story of meeting an A&R guy from a major label who took one look at her and “I could tell instantaneously that it was 100 percent clear that the meeting was going to be a waste of time. He’d decided in his head that I was too old and not bonny enough…Major labels aren’t interested in 40-year-old female singer-songwriters, end of story.” Well, Borealis was interested. They released two albums back-to-back. Threshold is not available in stores, but you can buy it from their website. It contains songs like “Rivers Run” which was inspired by Polwart's becoming a mother in 2007. 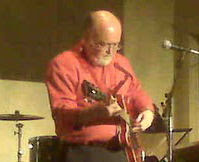 “Medusa” was co-written with Canada’s own James Keelaghan (and appeared on his most recent album). The co-write took place at a writer's retreat on Cape Breton Island. Each of the songs here have a brief story written by Karine describing her intentions on composing them (or covering them). There are one or two old traditional songs in the mix. 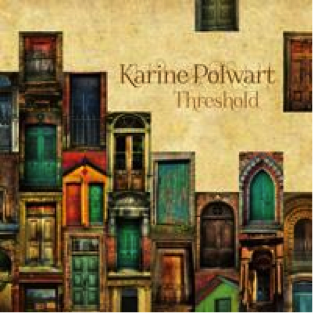 Polwart’s voice and instrumentation is distinctive enough to allow the traditional material to blend perfectly with her own compositions. She is normally supported by her brother Steven on guitars and vocals, and by Inge Thomson on piano accordion, glockenspiel, percussion and vocals. Karine plays guitars, harmonium and shruti box. And she sings beautifully. 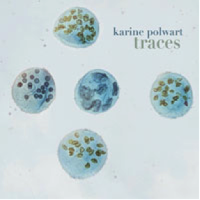 The second album is called Traces and, while it doesn’t contain any dramatic new direction, it continues Karine’s journey. The sound is fleshed out a bit with guests supporting Polwart’s trio. Iain Cook adds piano, keyboards and percussion, while a handful of horn players bring subtle highlights to a stunning collection of new compositions. Four songs are solo writes, five more share credits with her brother Steven and the final selection was co-written with Dave Gunning. Traces begins as a continuum from where Threshold left off: acoustic guitar and haunting, solo vocals that grow into a chord with harmony. “I was Farrah Fawcett, you were Steve McQueen, and we rode your silver grafter half the way from Aberdeen…and the waves fall.” Gorgeous. “King of Birds” is next and Polwart describes it this way: “The song tracks the shifting symbolism of St. Paul’s [in London] set against the Great Fire of London, the Blitz and the city of today” all seen through the eyes of a wren (Christopher). Biblical imagery appears on the next selection, “Tears for Lot’s Wife,” she who looked back at Sodom and turned into a pillar of salt. Polwart has adapted a poem by Russian poet Anna Akhmatova for this one. The album proceeds at a stately pace, and draws the listener in with subtlety rather than overwhelming with bombast. It is delicately produced – you can hear the fingers on string. Karine never pushes; she reaches high notes easily, as if she lives up there. There is an easy quality to the whole thing, the kind of sibling understanding that sisters and brothers have when they play together. Think of The Everly Brothers or The Secret Sisters for that incomprehensible family sound. You hear it everywhere on these two albums. Karine may be the name out front but brother Steven deserves some applause, as does Inge Thomson, who blends wonderfully. These albums are the beginning of a new enterprise for Borealis, who until now released Canadian music exclusively. They (Bill Garrett and Grit Laskin) state that “good music doesn’t respect boundaries and to that end [they] have created W2 Music to become a home for wonderful music from other parts of the world.” Karine Polwart is the first artist released on W2 Music, and a great choice she is. She may be rooted in Scotland, but so are many Canadians! She has branches which reach this Canadian heart. Her tour looks focused on the UK, but I’ll be watching for a Canadian tour next year. 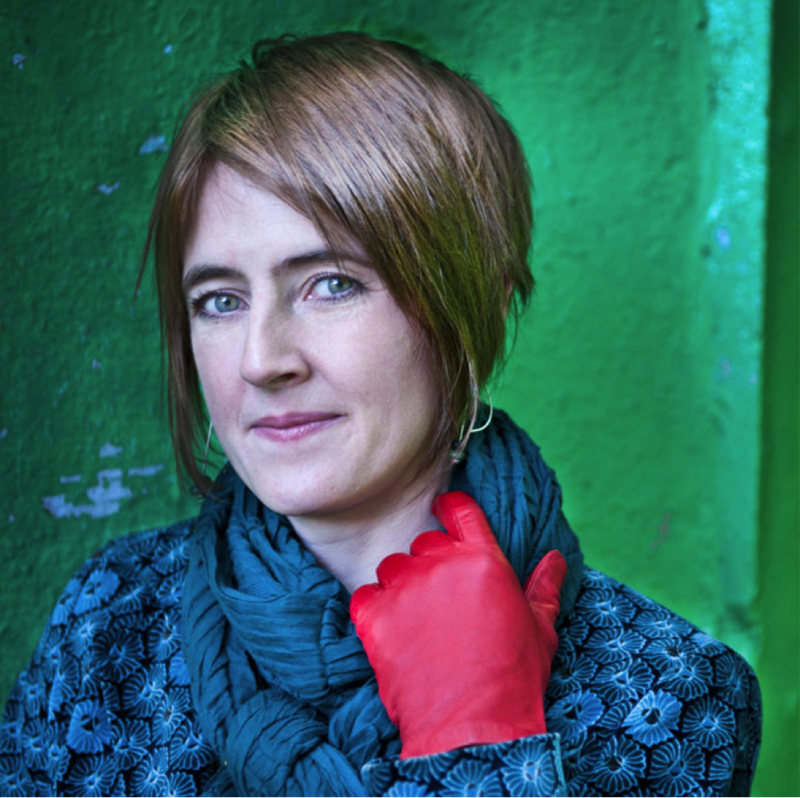 Thanks, Borealis, for introducing us to Karine Polwart!